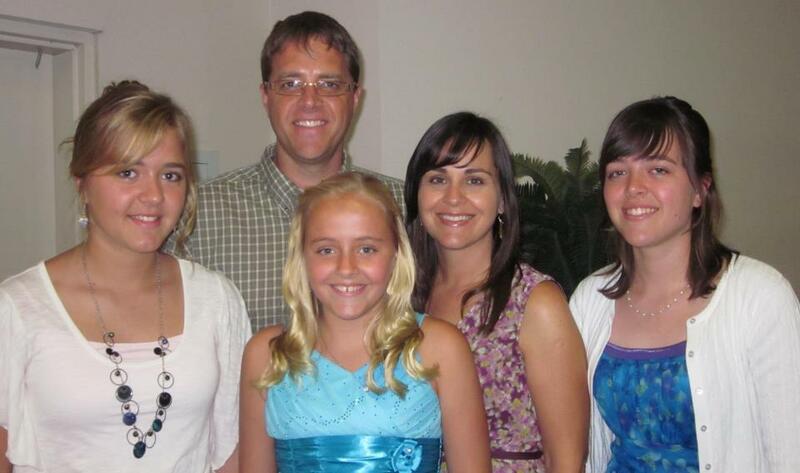 Rod, Lori and their three daughters serve with Africa Inland Missions in Johannesburg, South Africa. They are part of a three-family leadership team which provides supervision and member care to 150 missionaries in seven countries in their region. Rod overseas missionary growth and development and Lori is helping part-time with finances. Thank you for your prayers for our family this past month. We have experienced God’s peace and comfort as we continue to adjust to Alanna and Autumn being at school in Kenya. They seem to be doing well academically and are slowly making friends. As we will not be writing a Kraybill Kronicles this month, this update will be its replace- ment. Rod was asked to do team-building training at AIM’s international office, so made a quick trip up to England last week. This training included looking at the personalities of the 12 adults and how they might respond under stress/pressure. The training also looked at how they are individually motivated, how they respond to conflict, how they process information, and their preferred decision making style. The feedback after the team-building training was quite positive and Rod was humbled to be invited to help facilitate this process of team learning. ~ Anissa has done great at school this term, despite missing a month of schooling. ~ Alanna and Autumn are adjusting well to school in Kenya. ~ Each day God’s mercies are new! ~ We are settling back into life here in South Africa after a busy two months in the States. ~ Our support needs are being met. We are humbled and amazed at the generosity of God’s people! ~ Pray for Rod as he travels to Madagascar from September 14-22. He will be helping facilitate a Sharpening Your Interpersonal Skills workshop to AIM’s missionaries there. Pray that the participants will be encouraged and challenged. ~ Pray for Lori and Anissa as they stay at home. ~ Pray for Alanna and Autumn that they would grow in their relationship with God and to others this term at school. ~ Pray for an African lady from Lesotho who has joined the team to reach the Sakalava in Madagascar. This is the people group and team that we showed the dvd about this summer to many of you. Pray for her as she has not yet been able to get her passport to join this team in November. Pray that she would soon be issued a passport! Pray for all of the members of this team as they continue to raise support and prepare for their time in Madagascar beginning in November.